They are heart-breaking stories – a father who lost a job or a single parent who can barely make ends meet. Every day, Salvation Army Captain Jana Griffin hears the emotional journeys of someone in our community who could easily be one of us, a neighbor or loved one. But it’s this time of the year that makes them a lot more bearable because she knows help is coming from CPS Energy and others. We’re the Angel Tree program volunteers she counts on to cause an explosion of smiles, laughter and, sometimes, happy tears. 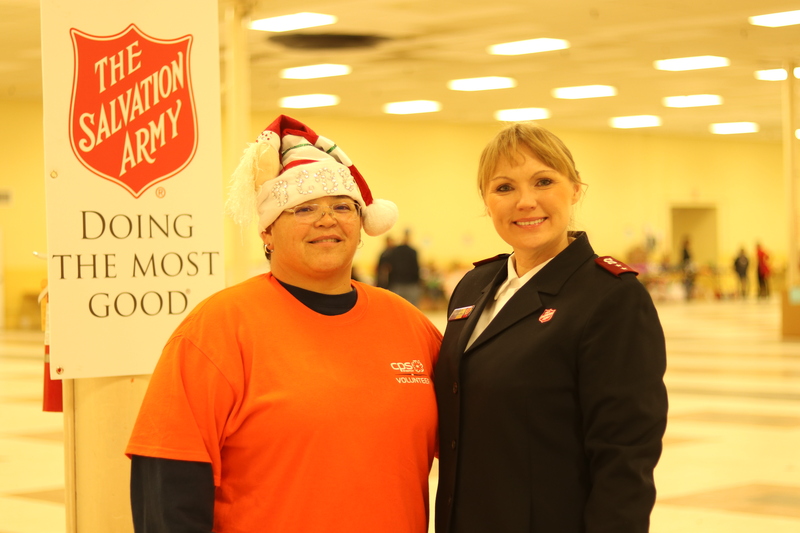 BeBe Bermudez (left), UED Foreman of our Northwest Service Center, and Salvation Army Captain Jana Griffin (right) help out during the final hours of toy distribution at Salvation Army’s toy shop. Griffin and her staff lead the local Angel Tree program, which benefits 3,000 families and 7,000 children. She says it’s a big job that would be impossible for her and a small staff without the help of companies like CPS Energy. President & CEO Paula Gold-Williams (Center) joins Maria Garcia, Vice President of Community Engagement, (Center Right) and other employees to show off mounds of toys employees collected for Angel Tree. 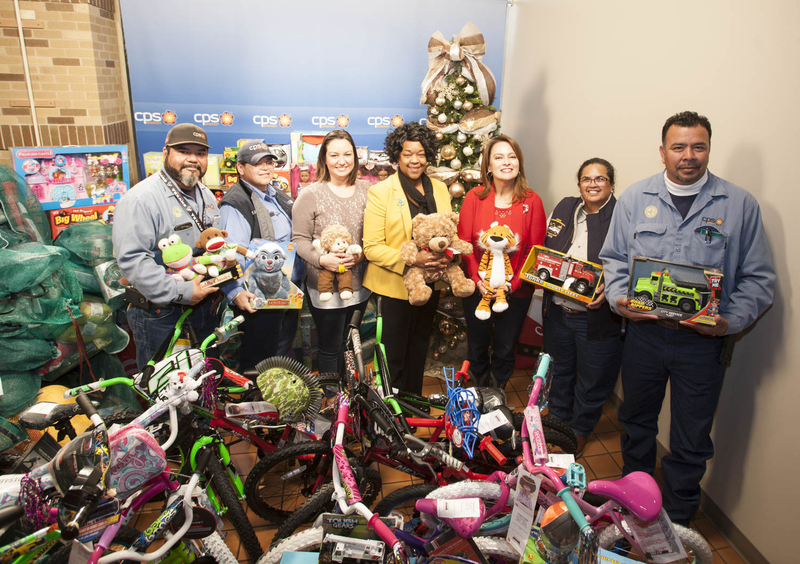 This year, our employees personally bought gifts for more than 1,000 kids, including clothing, toys, bicycles and sporting equipment. Then, CPS Energy recruited more than 200 volunteers to assemble, organize and distribute gifts to local families at the Salvation Army toy shop. Lori Johnson, Director of Corporate Responsibility, is proud to see volunteers come out in full force.